Annual. 80 days to harvest. 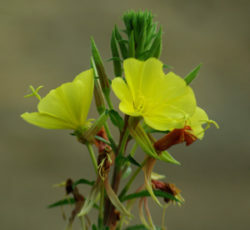 (Gold of Pleasure, Wild Flax, German Sesame, Siberian Oilseed) native to Northern Europe. An ancient oilseed crop, loaded with Omega 3 fatty acids and vitamin E. The oil is a delicious raw condiment, and is a stabile and tasty cooking oil. The seeds themselves are excellent for feeding to poultry, giving exceptional egg production. Other stock can benefit from the feed value of this seed, as well. Also used for producing biodiesel. 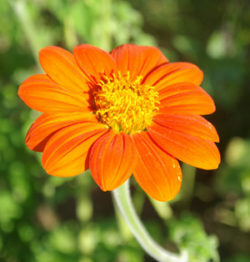 The plant is hardy to the temperate north and gives high yields of clean burning fuel. 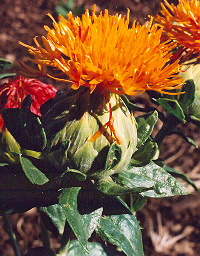 The plant has been used by humans for at least 4,000 years (remains in Switzerland date it to the Neolithic). 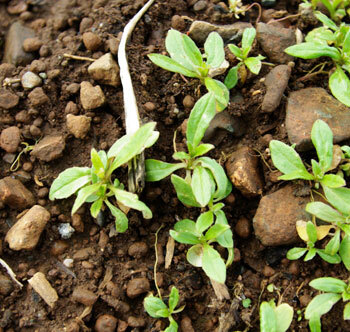 Prepare a weed-free seedbed in spring. Sprinkle the seed on the surface of the bed and press in. Keep evenly moist until germination. Harvest when the seed is fully mature and hard. 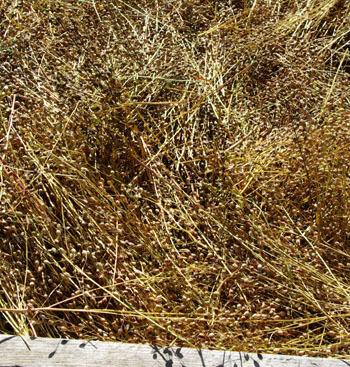 Camelina gives fast turnaround and high yield per input. The photo is of our recent germ test of this seed. 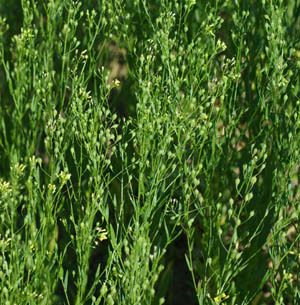 There has been a lot of demand for our camelina seed because we don’t GMO it. 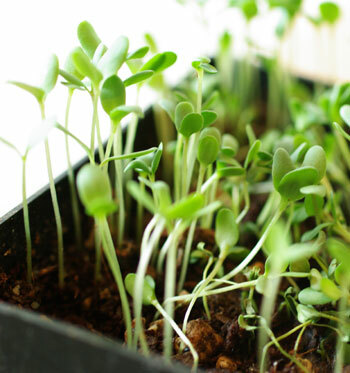 I have the great pleasure of regrowing our stock yearly and find it to be an easy early spring germinator. 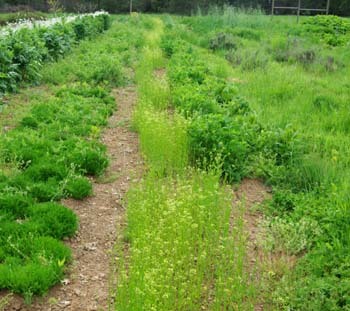 I prepare a 50 foot bed 4 feet wide, till it to a fine consistency, add no compost nor fertilizer of any kind, strew my seed, work it in with my fingers, tamp it with my palms, and notice germination in about 6 days, usually in cold and rain-wet soils. I go through and thin the plants after some time, giving them about a 6 inch spacing on center. This turns out to be a good idea, I think, because the plants grow quite robustly and fill in the spaces rapidly. Overcrowding causes dwarfism and reduced yield. One year somebody left the gate open and a deer came in and cropped halfway down on a good number of the plants when they were about 18 inches tall. 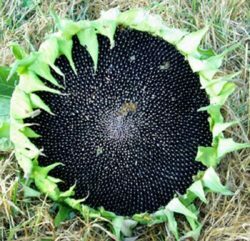 I closed the gate, watered the bed as it was quite dry by then, and the cropped plants soon sent new growth from the nodes, and bushed out and flowered in concert with the plants that had not been blessed by deer lips. Deer like brassicas. Harvest of the deer-cropped plants was normal. I kept the gates closed, and eventually went away with my bag of golden seeds. Anybody can do this.